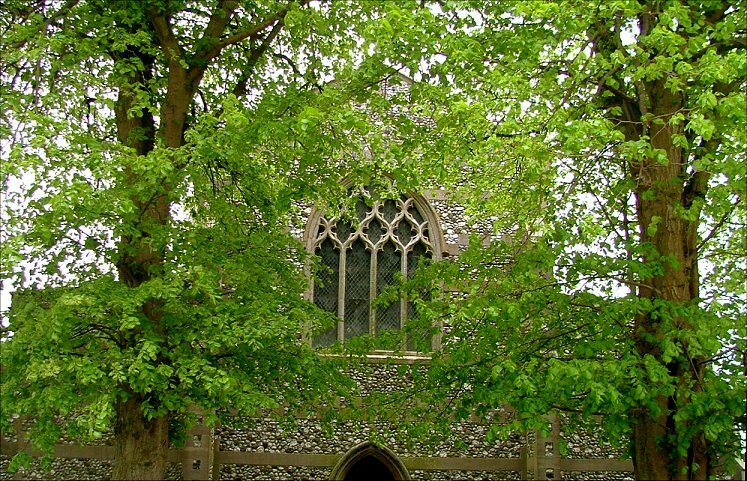 Canon Walter Marcon, who was Rector of Edgefield for more than sixty years from the 1870s to the 1930s, is remembered in Norfolk as the cycling parson, and for moving his church half a mile, stone by stone. 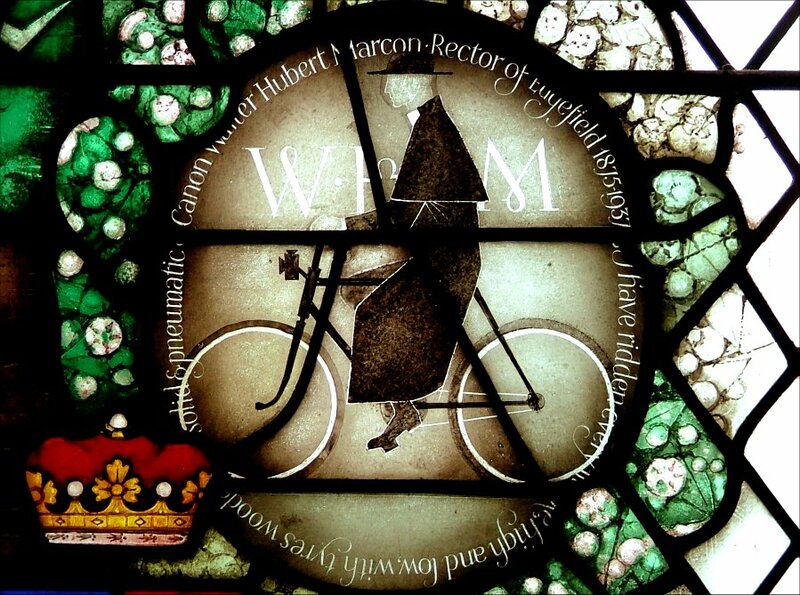 If you stop to think about it, this is rather curious, for few and far between must have been the ministers of the time who did not cycle about their parish, and the rebuilding of their medieval churches was also a common thing. 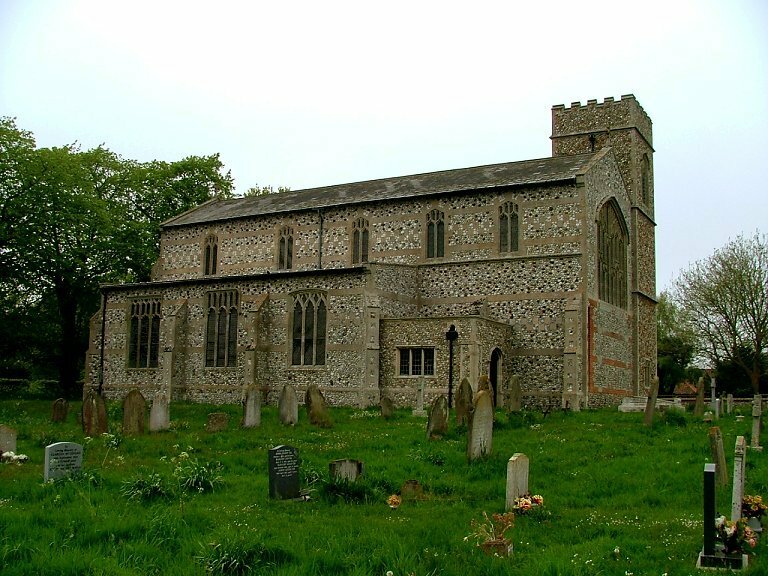 Even the moving of a church building was not so unusual; the same thing happened only a few miles off at Hindolveston, and also at Fulmodeston and Croxton. Perhaps the reason for Marcon's fame is that long incumbency. 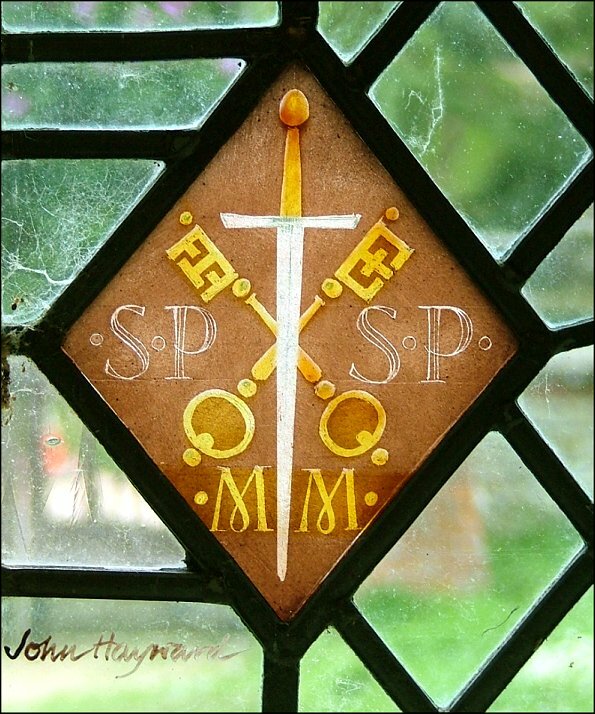 It is as if a Rector of a Norfolk parish today had comforted the same flock at the time of the Munich Crisis. 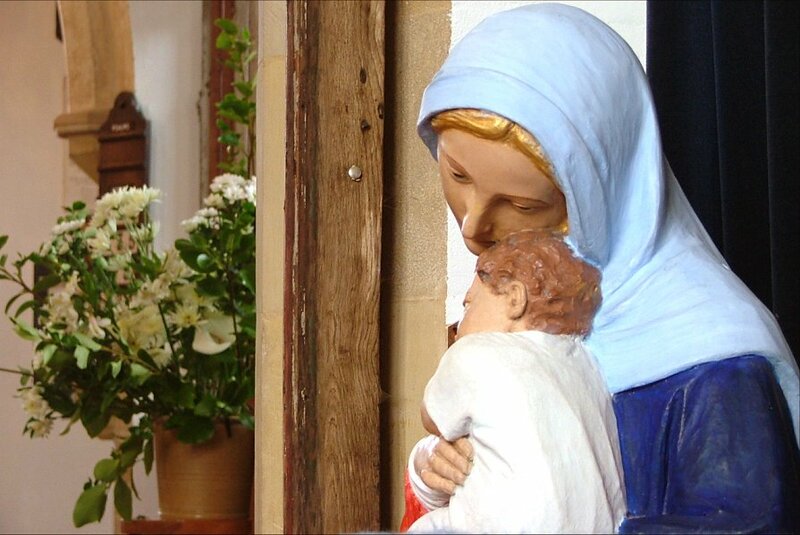 And perhaps there is another reason, which is that Marcon's new church is spectacularly successful, a template for what a successful small-scale village church should be like for the new century. In 1882, the old church was dismantled, and the materials put towards the new one. The architect was JD Sedding. 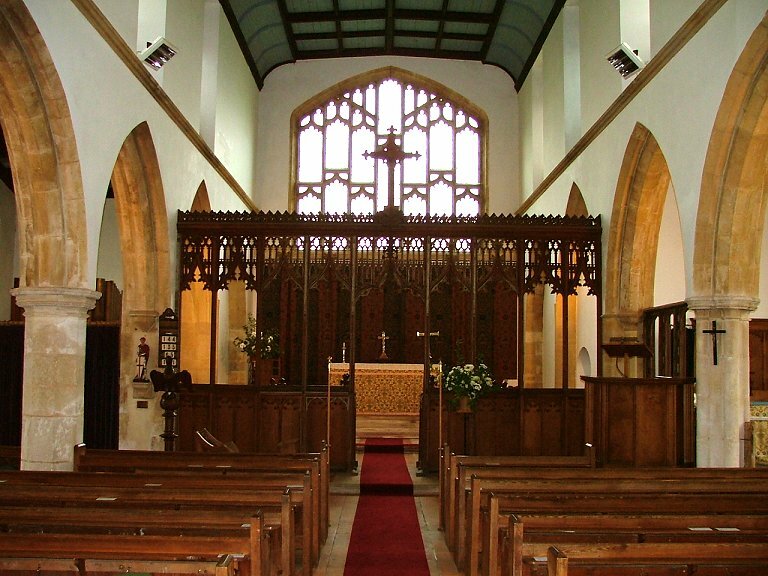 The plan is familiar, in the style of a typical East Anglian Perpendicular church of the 15th century, with aisles and a clerestory. The coy tower, in the north-east corner, is perhaps unfortunate. It was added thirty years later, and has the appearance of a scaled-down unbuttressed west tower of the early Perp period. It is functional, with a vestry at the bottom, but even so has a kitschy air that detracts from the gravitas of the rest of the building. You step into a cool, clean, wide interior that has the feeling of the early 20th century, an astonishing achievement in such a backwater with a young Rector and a minor architect. 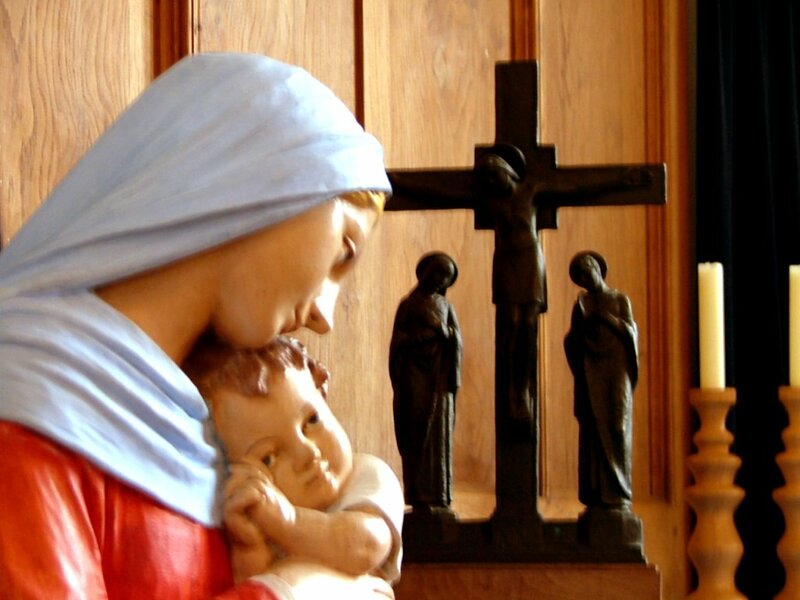 The ambience achieves a combination of calm and seriousness that would befit a larger church. 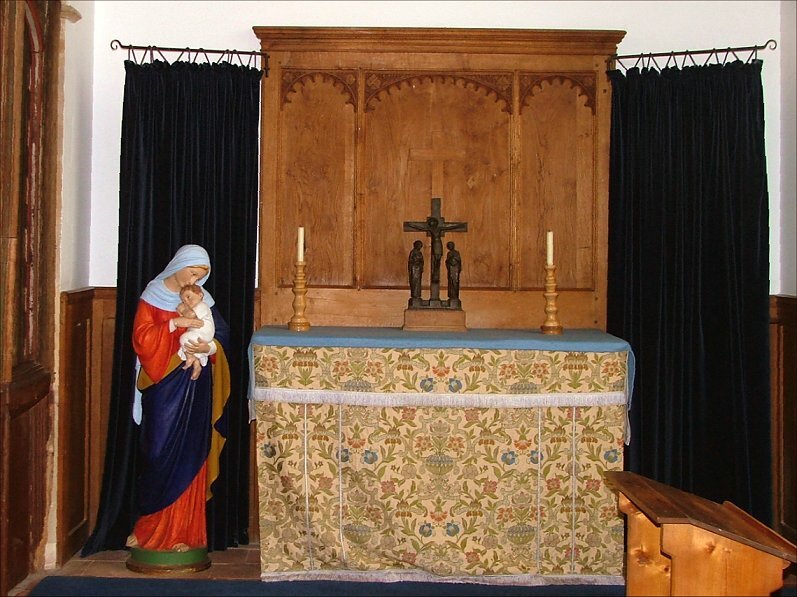 The arrangement is traditional, with benches facing a wooden screen. 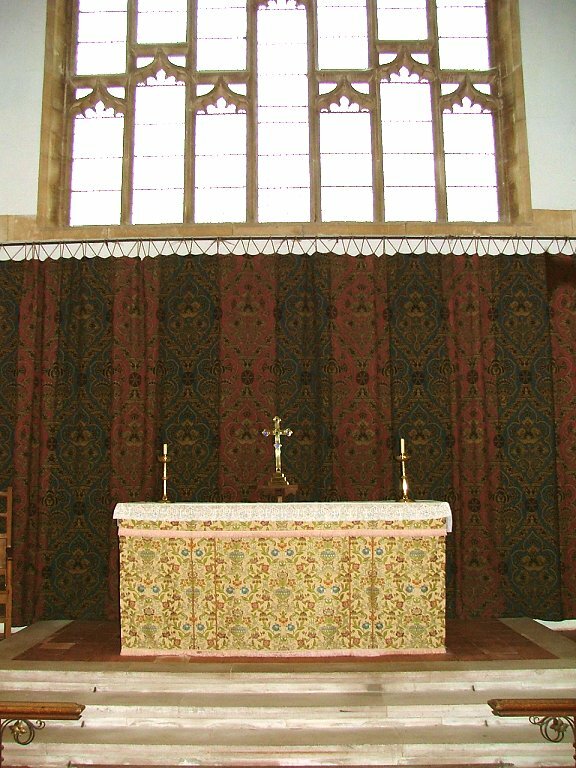 The chancel space beyond is wide and open, the altar dressed and backed in restrained embroidered fabrics. 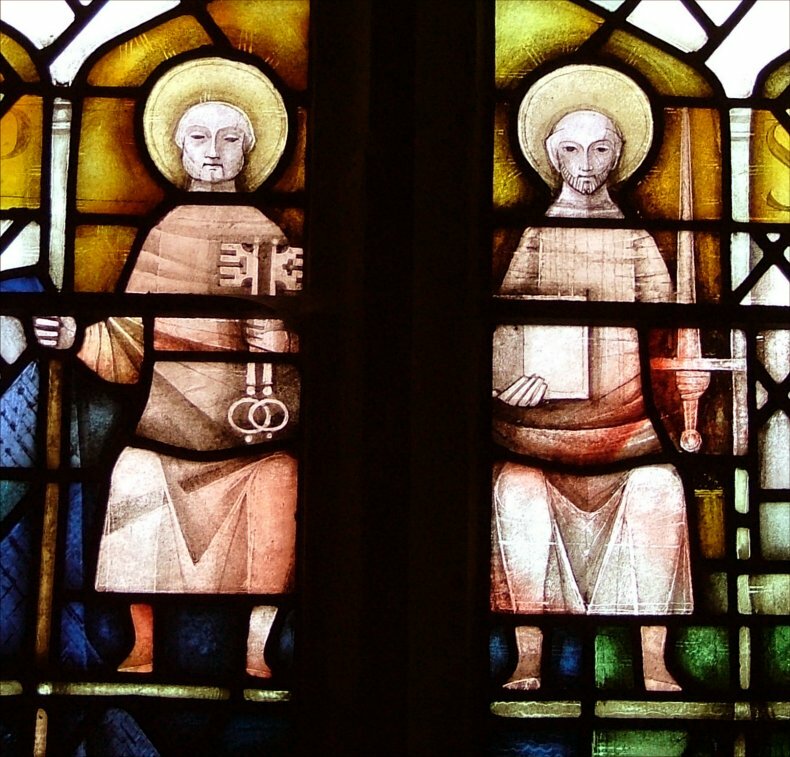 Perhaps the best single feature of the church is the collection of modern glass, which is curious, because the two main windows with it are from the 1980s and the year 2000. The east and west windows are clear, flooding the building with light, and Sedding and Marcon obviously intended this to be the case. 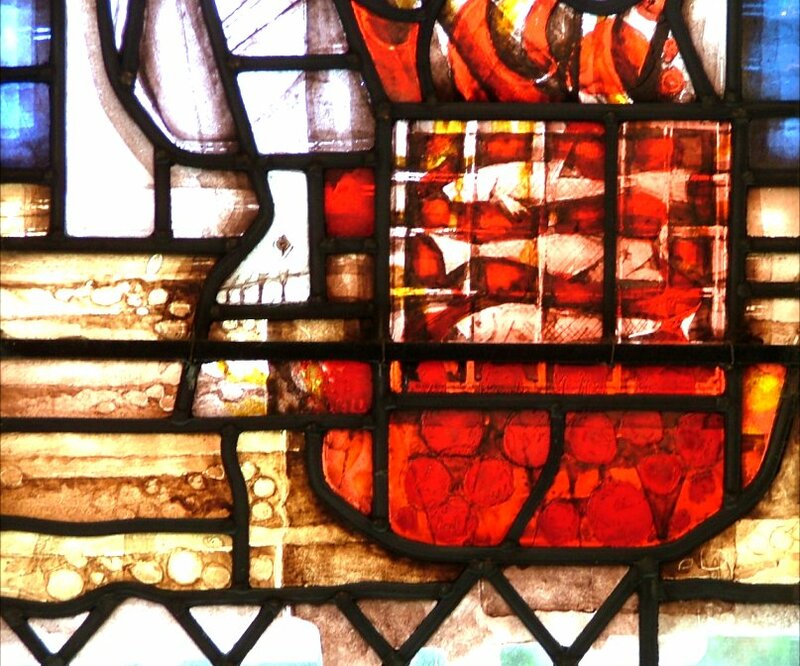 Perhaps because of this, the two modern windows have a kind of water colour effect, at their strongest in the centre of the design with the outer edges diluting into nothing. 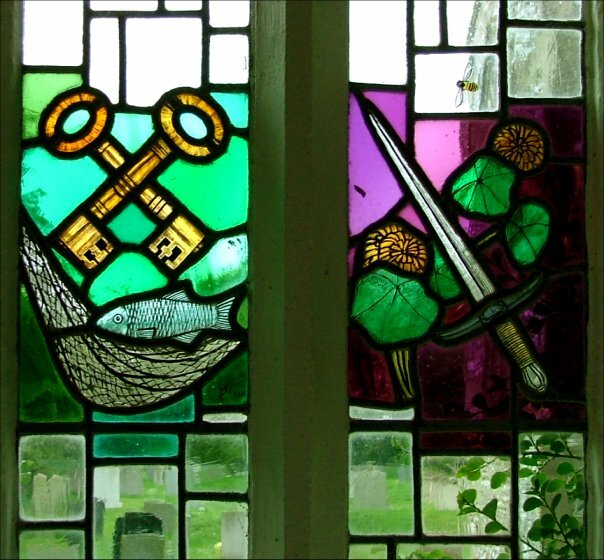 The window from the 1980s is in the south aisle, and commemorates the building of the church. Canon Marcon is depicted riding his bike in a roundel at the bottom, and the church's twin patrons sit enthroned at the top. 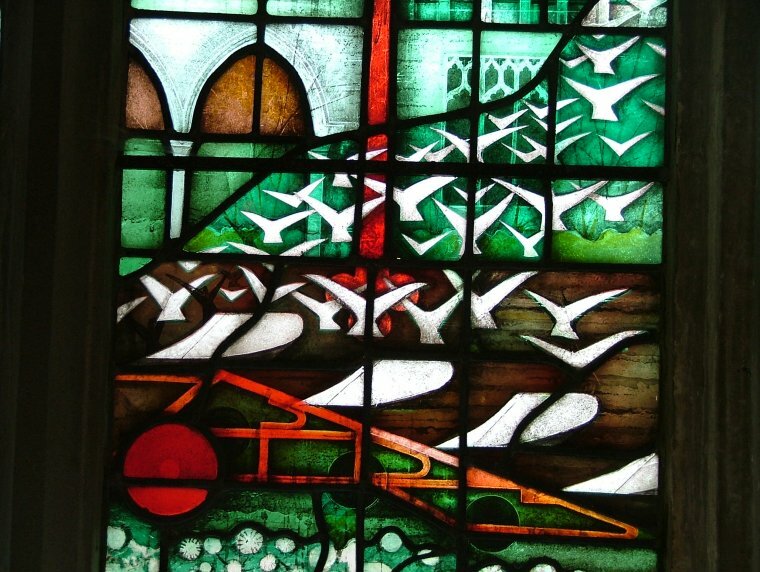 The most striking feature is the plough followed by seagulls at the bottom, which is remarkably like a work of Escher, the ploughshares apparently turning to birds as they move. 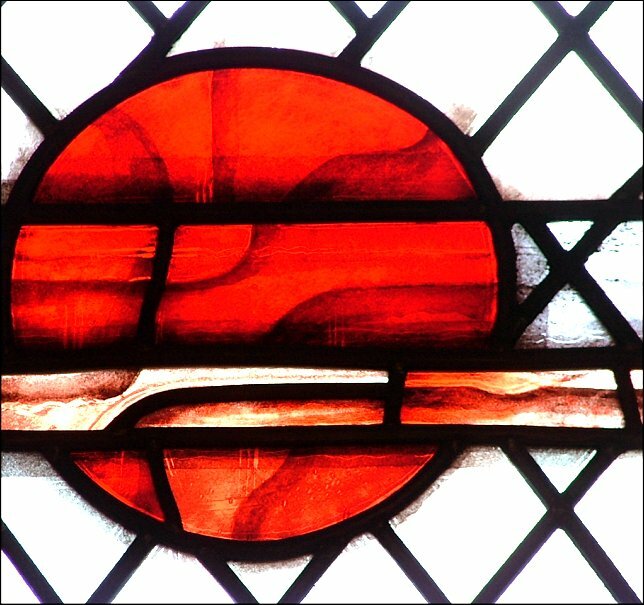 The greater part of the design is taken up with the new church appearing to rise out of the ghost of the old one, with the symbols of the eucharist at the heart of it all. It sounds an unlikely combination, but it works extremely well. I would be interested to know who the artist was. 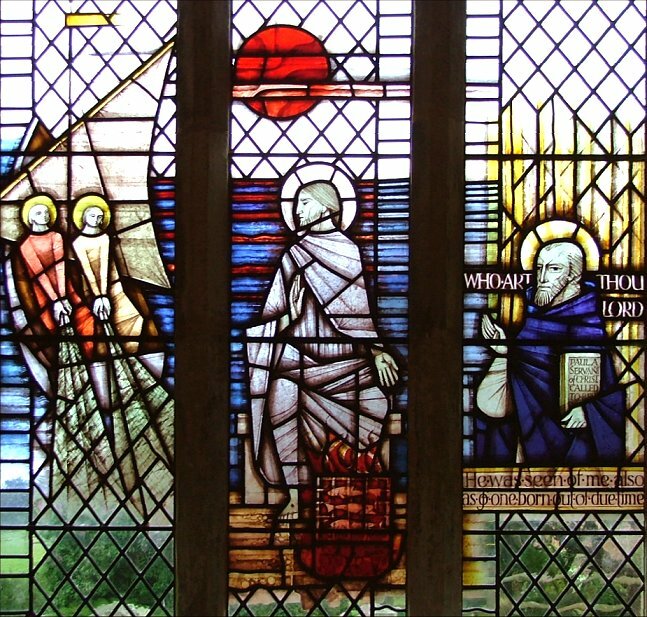 In the north aisle, the Millennium window is simpler, with Christ at the centre calling Peter and Andrew in the left hand side to come and be fishers of men. 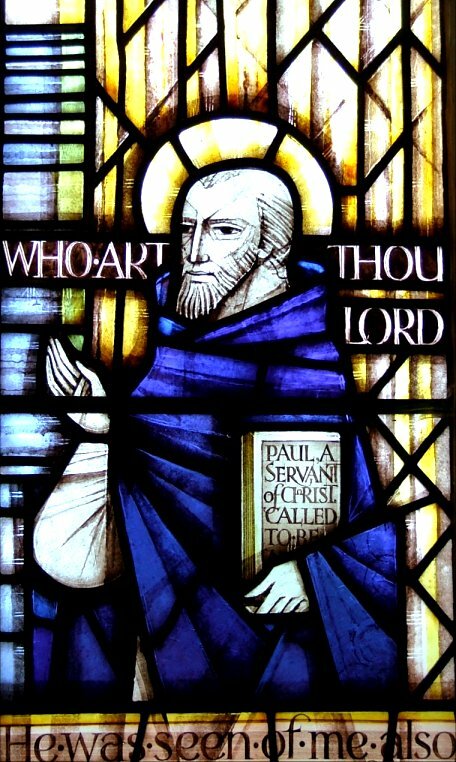 To the right, St Paul, undergoing his Damascene conversion, looks on. 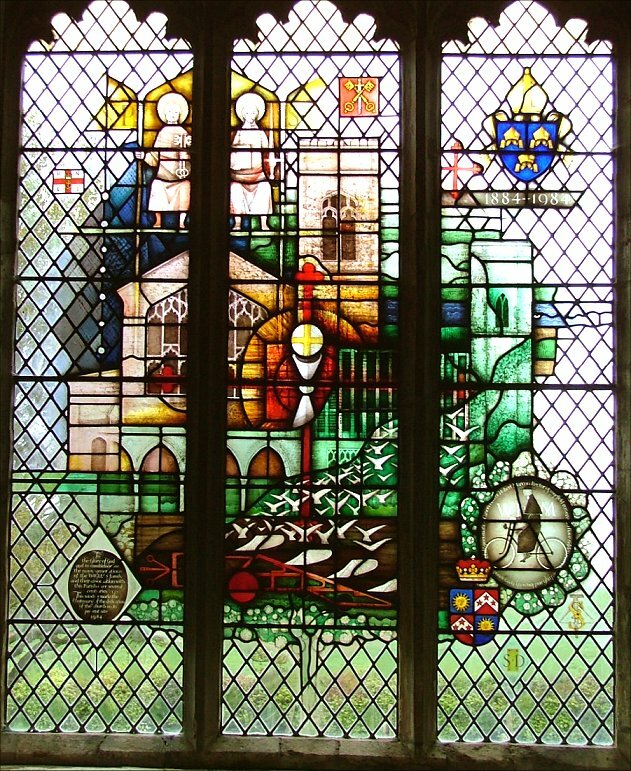 The window is signed by John Howard. 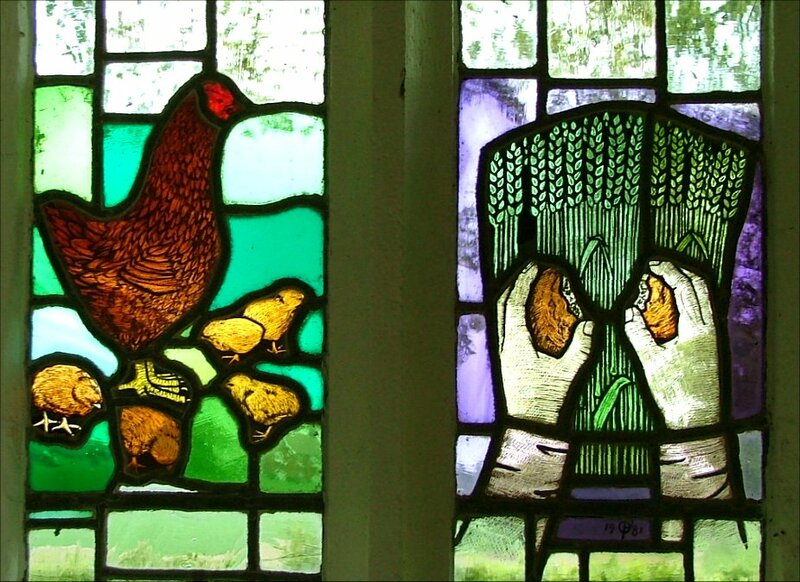 There is more good modern glass in the porch, including the symbols of Peter and Paul, the breaking of bread and a hen with her chicks. 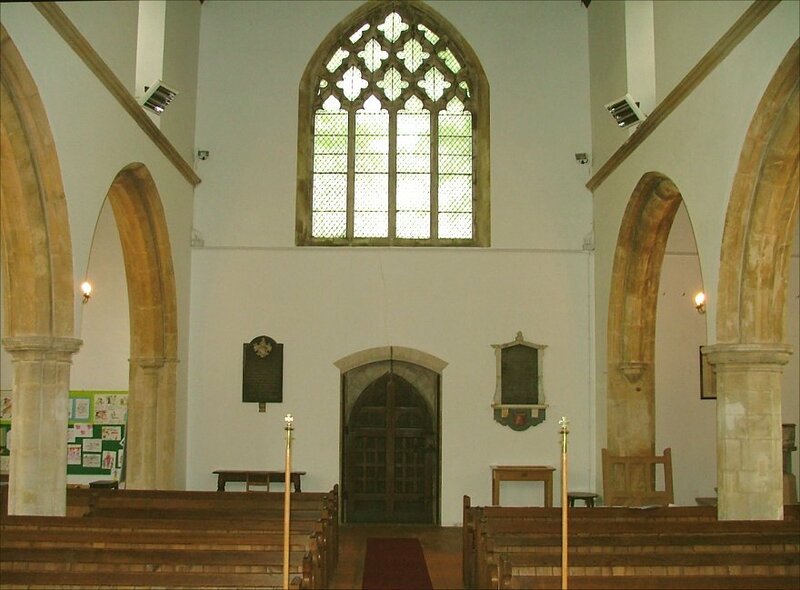 As at Hindolveston, fixtures of the old church were rescued and installed in the new one. 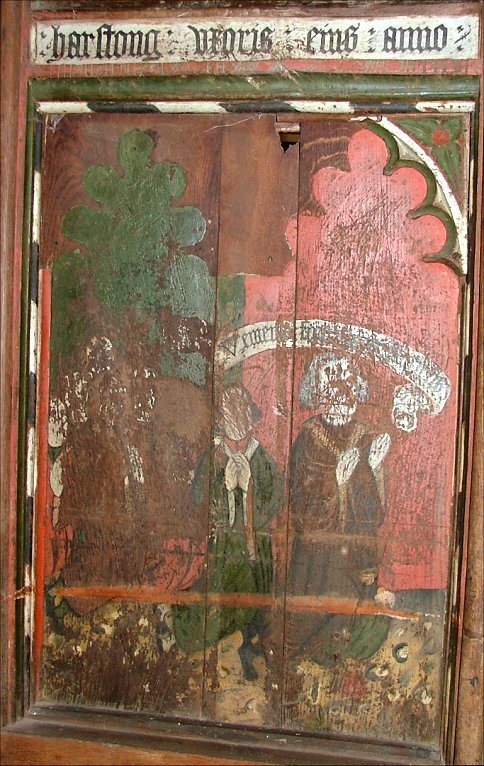 They don't make the same impression here, possibly because St Peter and St Paul is a much bigger church than the one at Hindolveston, but they are of great interest, particularly the part of the rood screen that now divides off the south aisle chapel. This depicts William Harstong and his family, donors, and is dated at 1526. 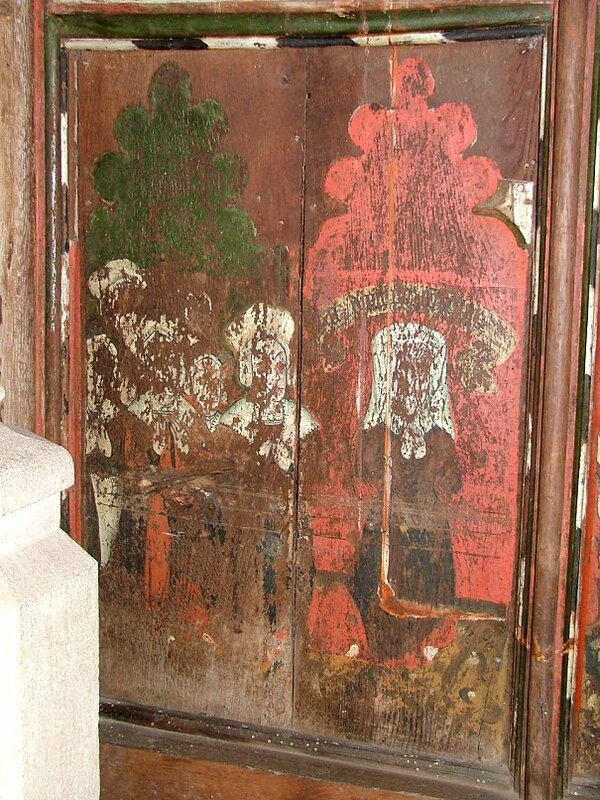 Presumably there were once Saints on other panels. 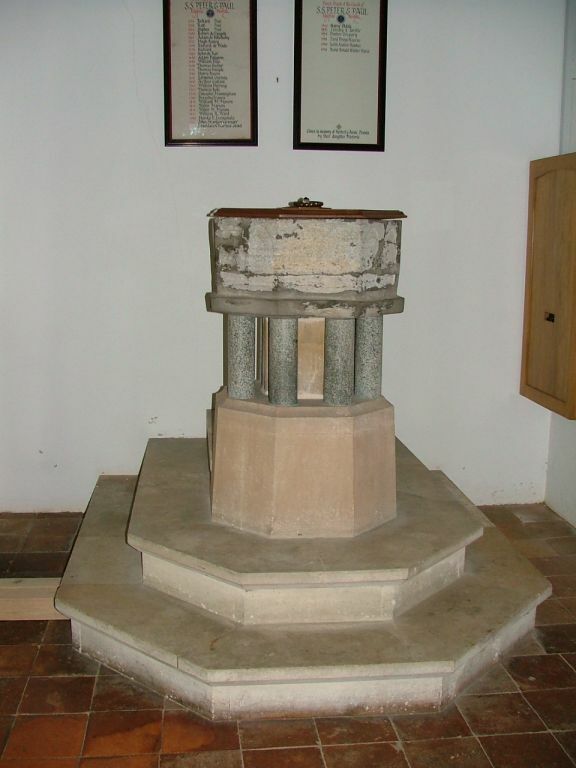 The font is a purbeck marble arcaded one of the 13th century, reset rather over-dramatically on a polished marble collonade and a triple-deck pedestal. 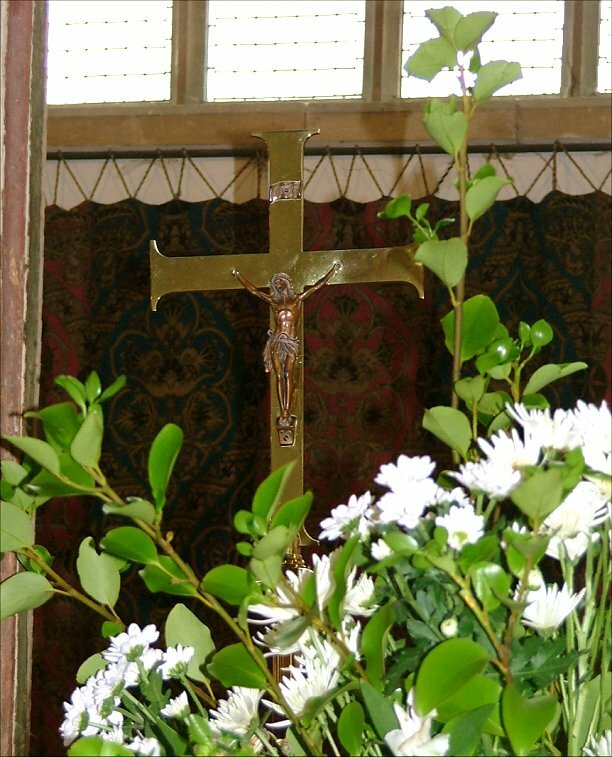 The west window is also said to come from the old church. It is set very high, as is the east window, an echo of the early 16th century and another idea that would become popular in the 20th century. 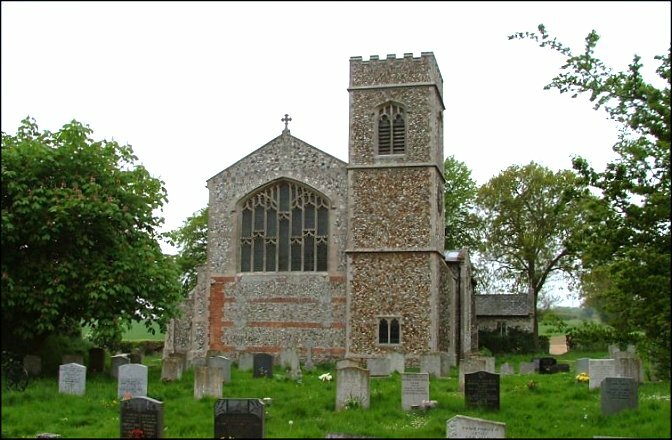 I think that St Peter and St Paul is one of the best modern rural churches in East Anglia, if a building from the 1880s can be thought of as modern. The cool lines and use of flint and brick are at once confident and organic, fitting the setting perfectly. A pity about that tower, though.